Things are heating up for the Ghostbusters this year, with the new film sparking interest in the classics as well. 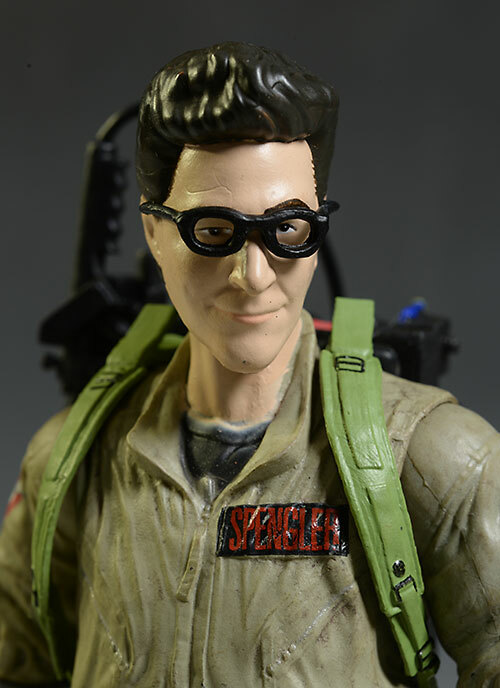 Diamond Select Toys has the second wave of their 7" action figures shipping, including Peter Venkman, Egon Stengler, and Dana Barrett. The deluxe versions with the diorama pieces will run you around $22 or $23 each, depending on the retailer, and on whether you buy them singly or in sets. In the photo below, you can see the entire two waves so far, along with the various diorama pieces in their proper place...I think. The large bookshelf style packaging might be too much for the Muppets, but with the huge diorama pieces, you need all that space here. It's not collector friendly of course - that's always been true with the Select bubble and card back packages - but it is attractive and sturdy. My biggest complaint is that they don't provide any type of diagram to show how the various pieces fit together to form the diorama, or what figure you need to get which piece. As you can see in the photo above, I was able to put my engineering degree to use and figure it out, but some directions would be nice. 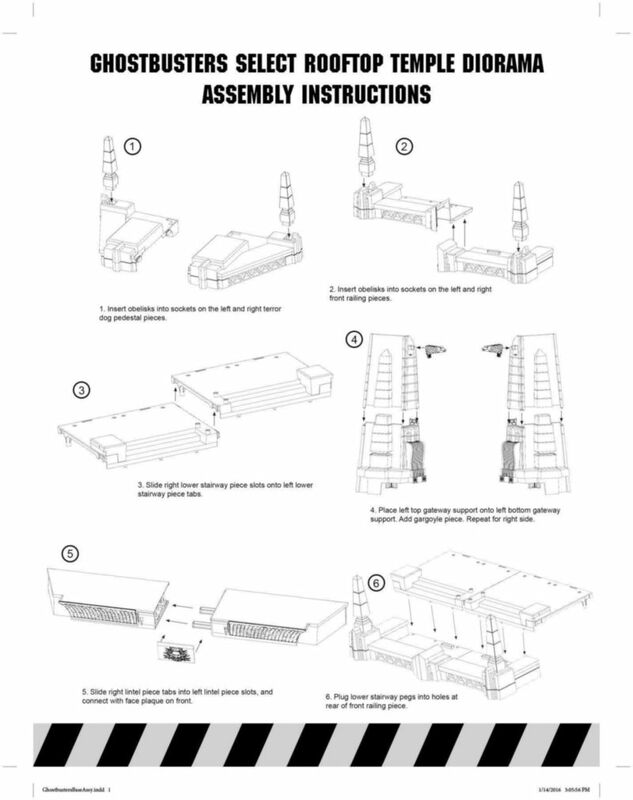 They are already including a marketing pamphlet, which could have easily included a little diagram for assembly. Update! 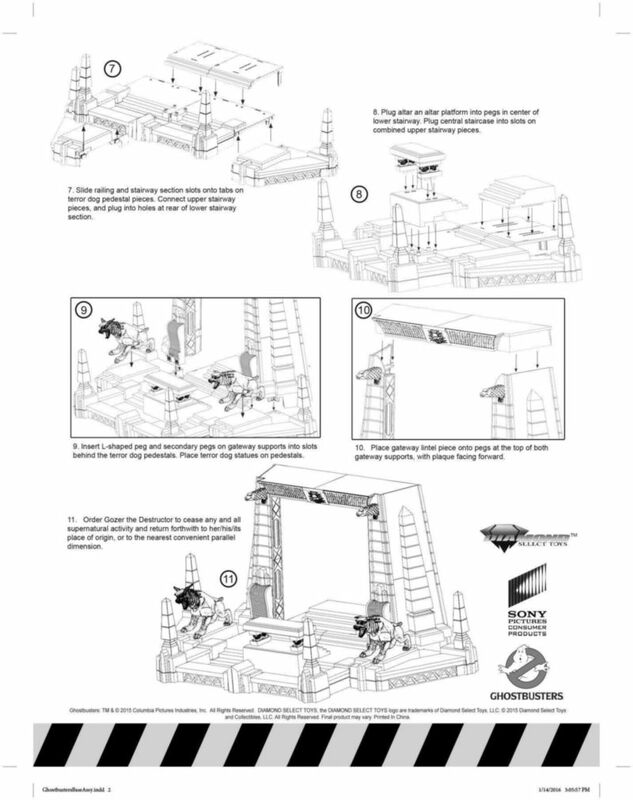 I received a couple JPG images of instructions for the diorama from a reader (thanks Mart!) who received them from DST. Not sure why they weren't included yet in the packaging. I've included them here for your edification. When a paint application is weak - more on that in a minute - it can be very, very hard to discern the quality of the underlying sculpt. Looking past the outer problems to the underlying structure isn't easy, but it's necessary if you are going to properly judge the work. 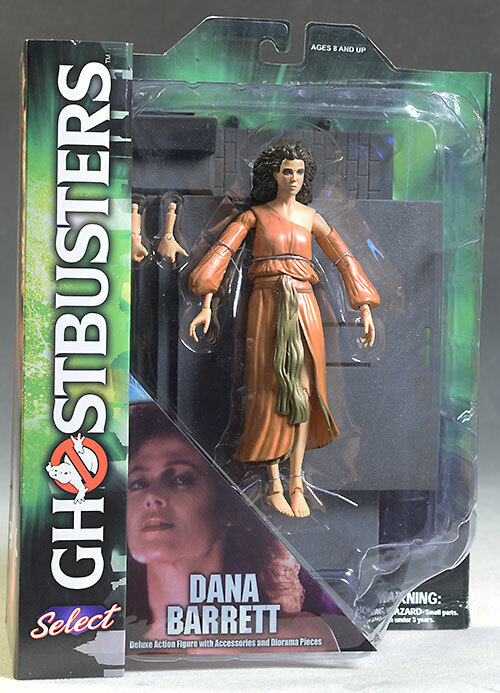 I think that both the Dana and Venkman sculpts are actually quite good - maybe even worth another half star, if they were repainted. I know I'd recognize them immediately removed from the bodies, which is a particularly noteworthy accomplishment with Dana. Capturing Ms. Weaver is a challenge for sculptors, but it appears that DST has succeeded here. I can't quite go that extra half star, thanks to the brain blockage created by the paint, but I'd love to see these repainted by a talented customizer. 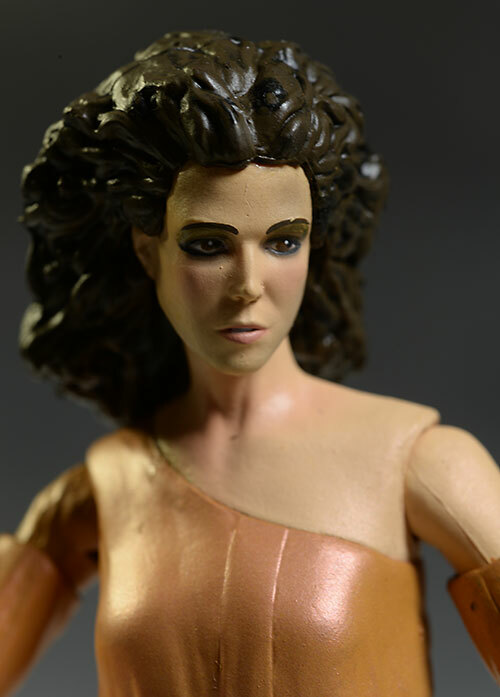 Both hairstyles are well done too, and this is Dana as Zuul, before she goes full dog. 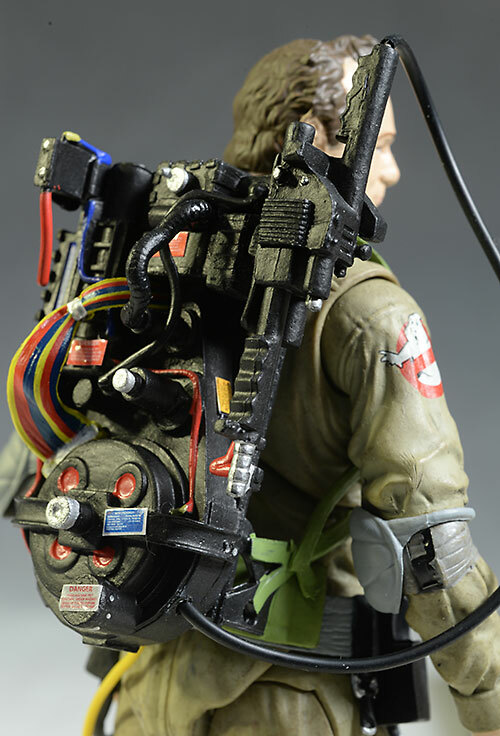 The clothing details are solid on both, and the extra work on the pack, belt, and doodads with both Venkman and Spengler is terrific. Sure, it's a re-use of a lot of parts, but that's only to be expected with this series. Spengler might have just as good of a sculpt from the neck down, but his portrait is far more caricaturish in nature than even Venkman. The thick, chunky glasses look like something rolled out of clay by hand, and the softer hair sculpt isn't helping any. Both of the guys have an actual wire used for the yellow tube on their suit. This allows you to pose it and get it out of the way, and is a big plus in my book. It's worth noting that the hands remain sculpted with fingernails. 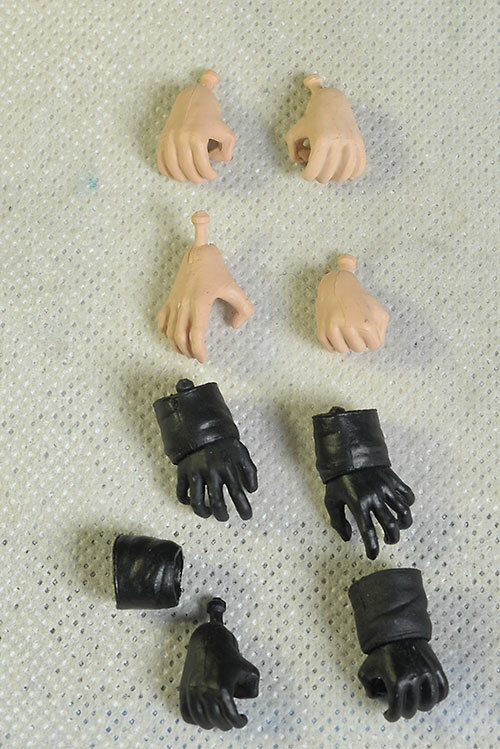 That's because they are merely regular hands painted black, with a rubbery 'sleeve' attached. While I understand that with the first wave - they were a late addition - it would seem that by the second wave we could get some actual glove sculpts. One other note about the pack - when I reviewed the first wave, I believe I mentioned that I couldn't find a way to attach the wand to the pack. With this second wave, I found it, and going back to the first wave, it's there as well. 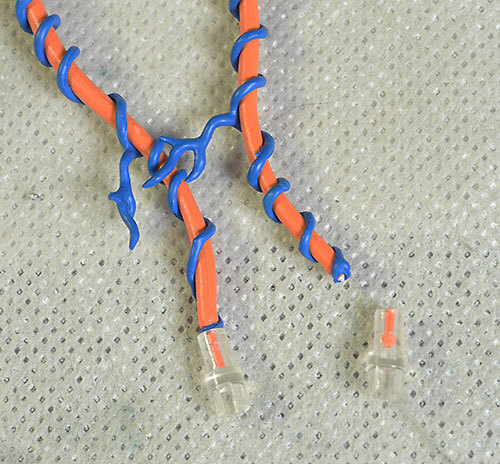 There is a small triangle on the pack, and a small attachment that slides over it on the wand, just like the real deal. It doesn't work great, thanks to the soft plastic, but it will hold it for short periods. These guys are in a 7" scale, like most Diamond Select figures, and as an example, Dana stands right about 7" tall. Here's where things have been falling apart with this series. While the sculpts - generally - are much better than what we saw with the Mattel Ghostbusters figures, the paint quality needs to improve. From the neck down, most of the issues are forgivable. Since the outfits on Spengler and Venkman are dirty, any slop gets hidden by the use of washes. Some of the small details on the pack are wonky (anything silver is particularly an issue), but overall it looks quite good, particularly considering the scale and price. But the work on the faces remains weak. Dana looks the best in photos, because she lacks some of the glossy finish that plagues both the men this time. However, in hand you'll notice how much variation there is in her skin tone, with odd dark patches on her forehead. The eyes are wonky once again, and various cut lines on her clothing are fuzzy and sloppy. 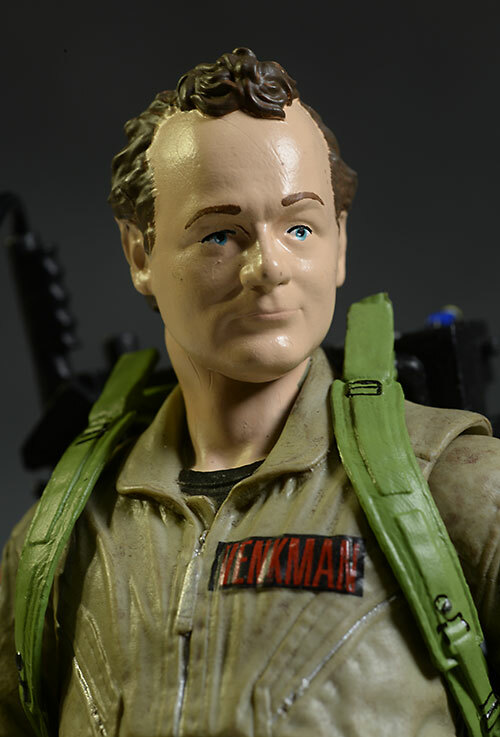 As I said, both Venkman and Spengler have a gloss to their faces that we didn't see with the first wave. This makes them look cheap, and wonky eyes, wonky eyebrows, and poor hairlines do nothing to dispel the notion. This was a tricky one, because an issue arose that I did not have with the original wave. I try to avoid reading opinions about figures I'm going to review before I review them. It will - not can, but will - effect your opinion, and I do everything I can to avoid or at least recognize bias. After I reviewed wave 1, I checked out the conversations, and found that a lot of people were having all kinds of trouble getting the figures to stand. All that articulation, and they wouldn't remain upright. I didn't have that problem, and while posing and shooting the first wave I was quite pleased with this category. Fast forward to wave 2, and suddenly I'm having all kinds of trouble. With Dana, it's understandable. She has a decent ball jointed neck, and the rotating hinge shoulders, pin elbows, rotating hinge wrists, rolling ab, and cut biceps allow for plenty of arm poses. She has plenty of leg articulation as well, including hips, double pin knees, and pin ankles...and it's almost all worthless, thanks to the heavy dress. Getting her to stand and remain standing was an exercise in frustration, and while it was doable (and she has holes in her feet, in case you have a handy stand), you'll probably end up with her lying down on the diorama for a long term display. While it wasn't as hard to get Venkman and Spengler to stand, I did have more difficulty this time than with Zeddemore and Stantz. 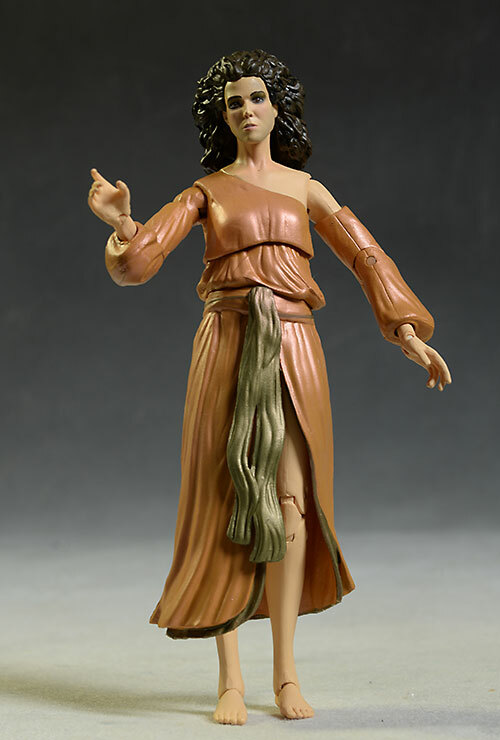 There's a ton of articulation here, and most of it is incorporated in such a way that it does not negatively impact the look of the figure. There's a ball neck, rocker abdomen, rotating hinge shoulders, elbows and wrists, double hinge hips, double pin knees, cut thighs, and even rocker ankles...and yet, getting a pose with the proper center of gravity is a major task. Here's where DST is making up for a lot of sins - a lot. The inclusion and design of the huge (HUGE!) diorama makes this series stand out not just from Ghostbusters lines of the past, but from other lines in general. It's also a huge selling point, elevating these even with their other issues. Dana scores slightly better than the earlier wave's Louis, by adding in an extra set of hands to go with her large pieces of the base. The hands swap easily enough, and are a nice add. Pete and Egon have the same ten hands in total, gloved and bare, that we saw with Ray and Winston. These also swap easily, but be careful you don't lose the tiny glove cuffs, since they are not permanently attached to the hands. That's actually a good thing, since it's easier to attach the gloved hands if you put the rubber cuff on the arm first. They also both come with a radio that fits inside a holster on their belt. While it's another re-use, it's a sensible one. The wand is not removable from the pack, and the pack is not (technically) removable from the body, so neither are an accessory, nice as they might be. Both guys also come with the same energy blast that we saw with Ray and Winston, but this time they include the clear plastic adapters that actually allow you to attach them to the barrel of the wand. They did not include any extras for the earlier wave, however. These adapters work great, but take care - I got a little too rough and broke one of the beams. I'll just dig out the piece and pop the plastic adapter on one of the earlier beams, but it's worth noting that it's pretty easy to do. The adapter also only fits on the barrel one way, so pay attention to how the slot lines up with the end. 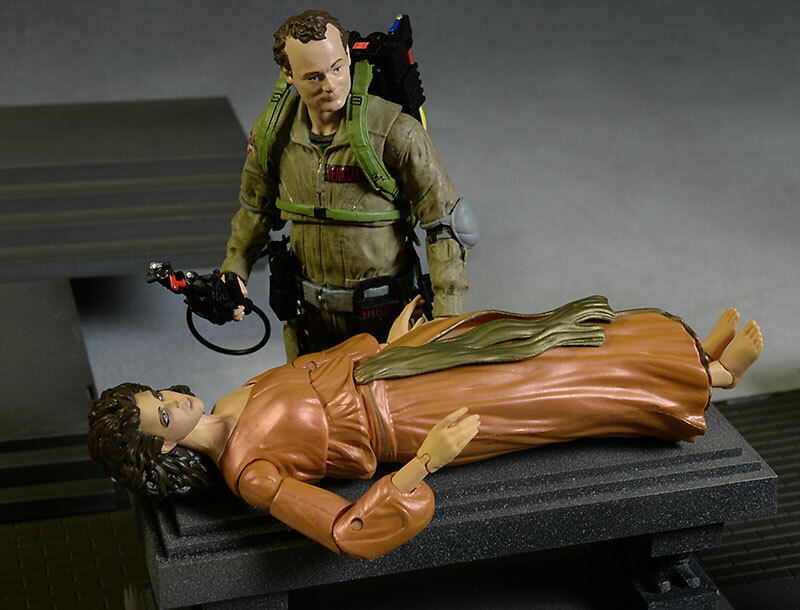 Venkman's only other extra is his diorama pieces, but Spengler comes with the PKE Meter. It looks great, and fits nicely in his gripping hand. The diorama pieces are the real winner here. While we are still missing quite a few (there are 15 figures necessary to complete the diorama, and we are only on 6), the overall look is already starting to take shape. While the issues with articulation hold back some of the fun, you can still come up with some good prone poses for Dana, and the diorama really will make this set up one of the coolest in your display. Switching the figures around within the rooftop set up will be a regular occurrence around my house. This will run you around $22 - $23 each, pretty standard fair for a 'collector' figure in a 6 - 7" scale. You'll pay $20 for most Star Wars Black or Marvel Legends, unless you find a sale, and those figures are smaller than these, and come with far less in the Accessories category. The huge diorama alone make these a better value than most of the figures on the market right now. I actually upped this score a half star from the first wave to the second. Part of that is because the diorama gets cooler the more pieces we get, and part of that is from comparing to other 6 - 7" lines I've recently reviewed. I mentioned the ease with which I broke one of the beams when attaching it, so take some care there. I was able to work with the second one when I realized how fragile they were. The two big issues confronting this wave are the paint (an on going issue so far) and the articulation. The articulation issues seem to be hit and miss, as I had very little trouble with the first wave and tons with the second, but the paint problems are clearly an overall problem. If I had to guess, I'd say it's because they are doing everything they can to create figures with a lot of detail (look at the packs and wands) and a fantastic diorama, but keep the price point below $25 each. The one area that tends to take a hit when costs get curtailed is paint, from the number of operations to the quality of the application. I suspect that's what we are seeing here. But even with these issues, I'm really liking this series. I'll freely admit that a massive part of that is the diorama, a display that will look fantastic if you have the room for it. These figures are also a huge improvement over Mattel's releases, even with poor paint. Part of me wishes we could have seen what NECA could have done with the main characters (they did several supporting characters back in the day), but DST is stepping up on most fronts. I have to dig up my old NECA figures, but based on memory they should fit in pretty well with these, at least as place holders until DST does their own Zuul, Vinz, and Gozer. 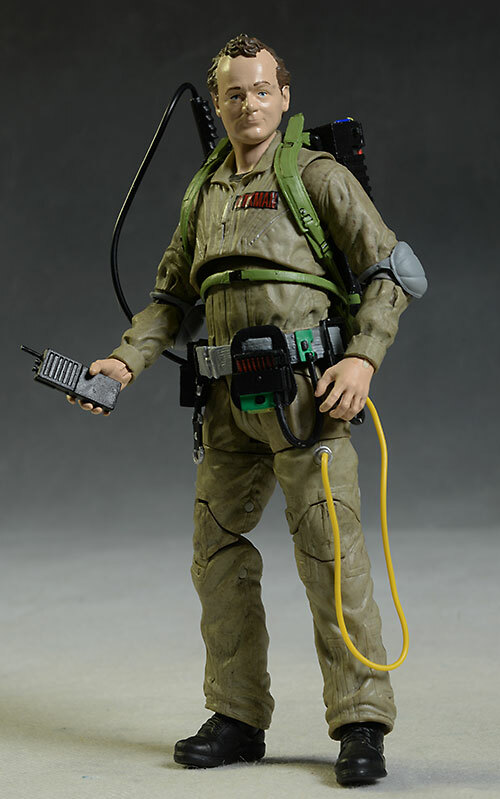 They are also doing a Slimer of course, but it's going to be tough to top the NECA release. 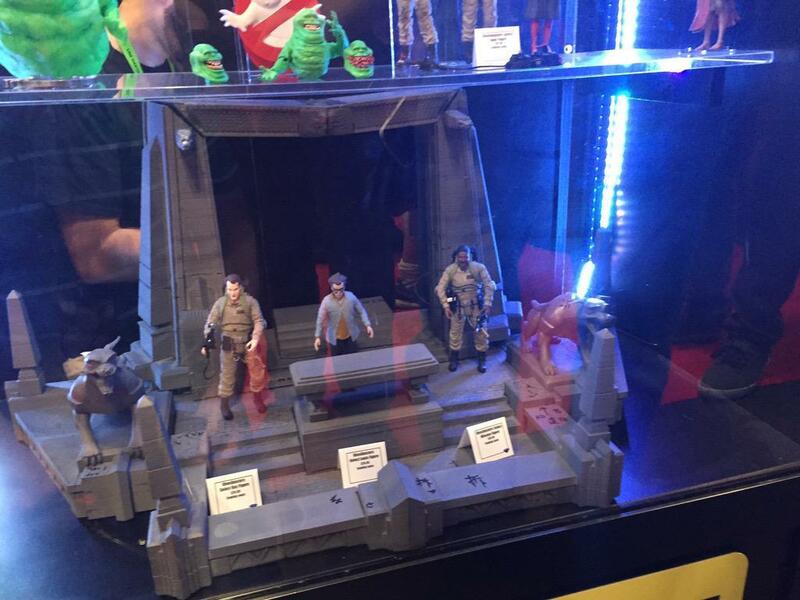 Series 3 is up for pre-order, and includes a Ray variant, Janine, and the original Slimer I just mentioned. That brings the set to 9, so it looks like it will be 2017 before we finish the display. If you'd like to see what the diorama should look like when complete, check out this great shot from It's All True.net. - has the set of three for $66, or the singles for $23. - Entertainment Earth has the set of three for $75. I recently covered wave 1 as well, which include Louis Tully, Ray Stantz, and Winston Zeddemore. 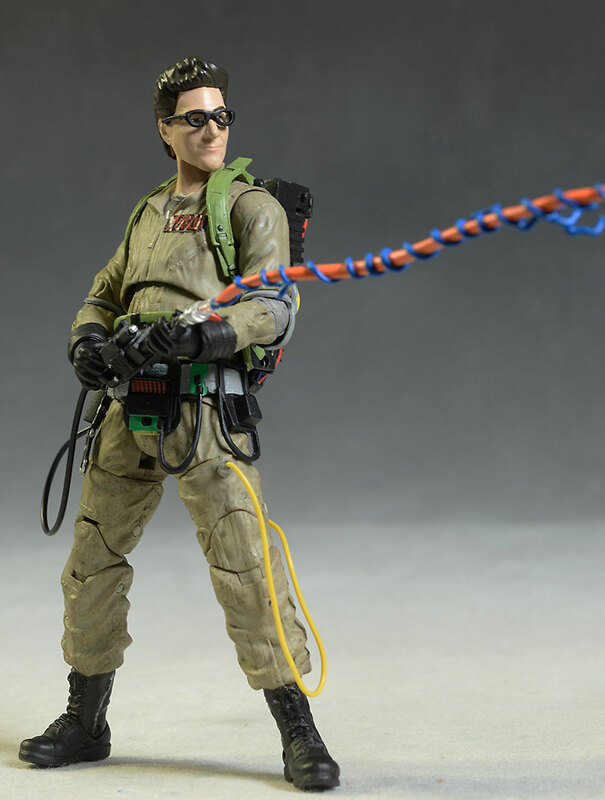 Other Ghostbusters figures include the Mattel 12" Zeddemore, and the 12" Ray and Venkman. 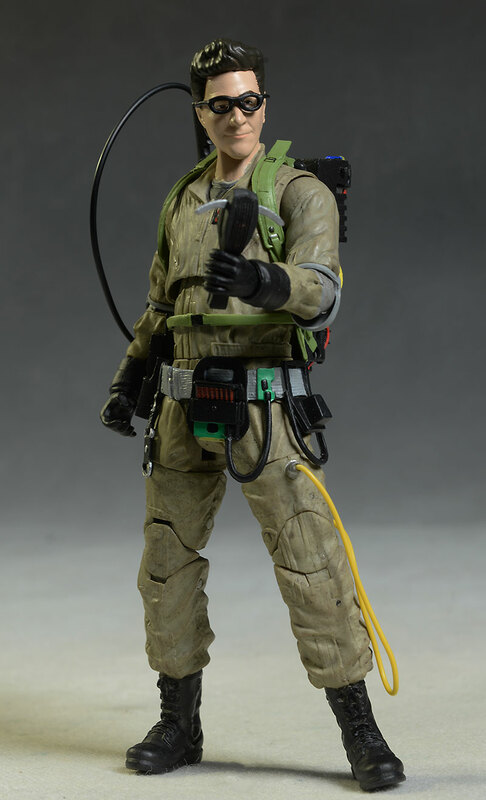 In the six inch scale, they have also released the SDCC exclusive Egon, Ray, Venkman, and Winston. And I have reviews of some related merchandise, like the Neutrino Wand prop replica, the Trap, and the PKE Meter.